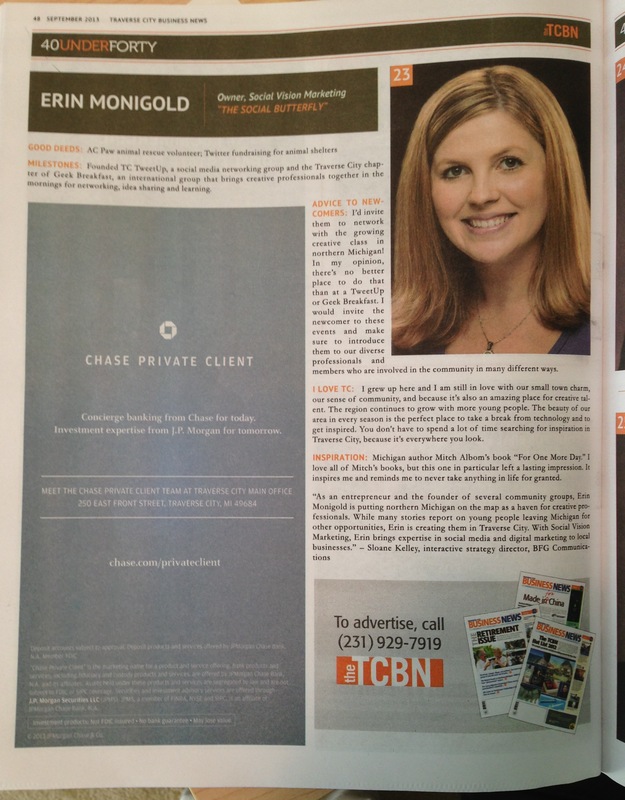 I am thrilled to announce that I was named to the 2013 list of the Top 40Under40 by the Traverse City Business News! This is such an honor to be recognized and included with so many wonderful young professionals in the Traverse City business community. We were honored with a fun party at the Dennos Museum Center where we had the opportunity to meet others included in this year’s top honors. It was such an enjoyable and humbling experience! Many thanks to the TCBN for the wonderful recognition. 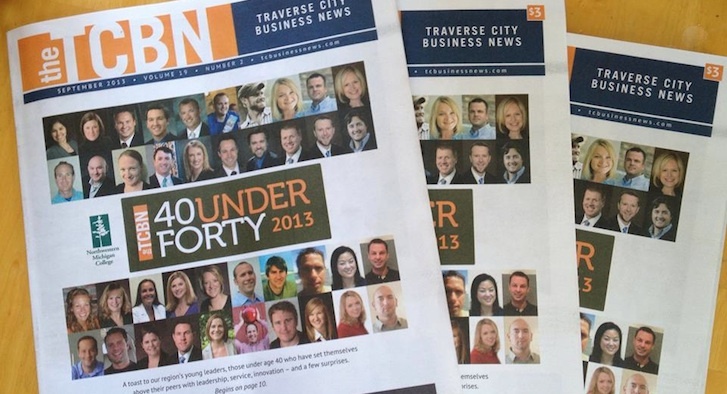 You can read about all forty of the winners in the September issue of Traverse City Business News!